Reflections Around the Campfire: New York State Parks Empire Pass - Act Quickly to Save $$$! New York State Parks Empire Pass - Act Quickly to Save $$$! 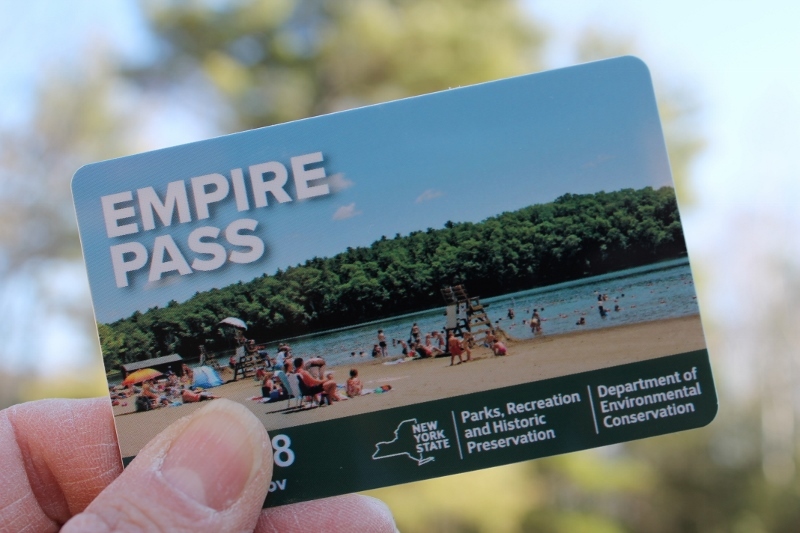 The Empire Pass, issued annually by the New York State Department of Parks, Recreation and Historic Preservation, provides unlimited day use entry to 128 State Parks all across New York and 52 Parks operated by the NYS Department of Environmental Conservation (DEC) in the Adirondacks and the Catskills. (Be aware that the Pass does not provide a discount on camping fees.) A complete list of the State Parks that accept the Empire Pass can be found (HERE). The DEC facilities that accept the Empire Pass include forest preserve areas, boat launch sites, arboretums and park preserves and a complete list can be found (HERE). But wait! There’s more! 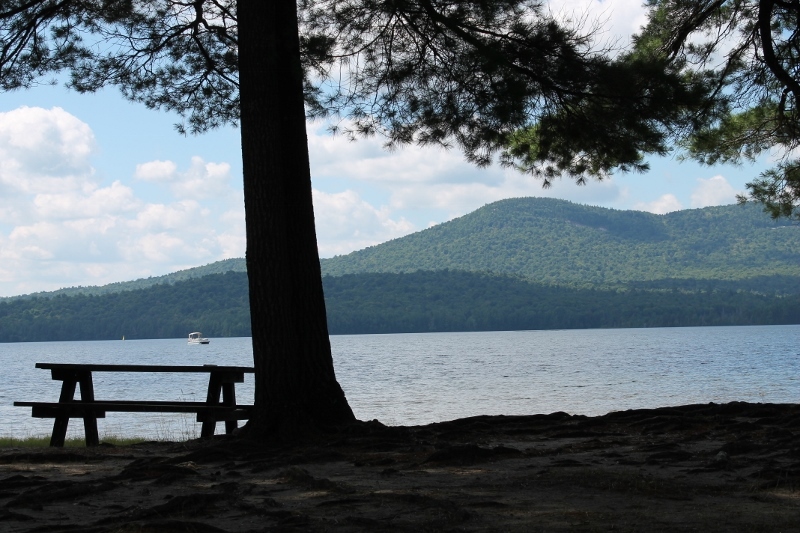 Wouldn't you love to picnic at Lake Eaton, a DEC facility in the Southwest Adirondacks? Beginning this year, the NYS Parks Department is issuing a new wallet-size, plastic card that can be shared among members of a household – a HUGE improvement over the window decal that was issued in prior years and assigned to one specific vehicle. I’ve always believed the Empire Pass to be a great value, but the new, shareable Pass just quadrupled that value for our outdoors-loving family of four. Considering the fact that admission to many New York State Parks is $10.00 per vehicle, the pass will pay for itself in just 7 visits. But wait! There’s even more! In addition to the Annual Empire Pass, the State also offers Multi-Year Passes (3 years or 5 years) and a Lifetime Pass. For more information on and ordering instructions for any of these Passes, visit the NYS Parks Department web site (link HERE). The pleasure we get from visiting New York State Parks is worth more than the $10 a pop it costs us to get in, but I find that when I purchase the Empire Pass we fit in more fun and healthy activities like hikes, picnics, kayaking excursions and beach visits because my frugal self wants to take full advantage of my investment. But the pleasure and relaxation that come from soaking up the sun, fresh air and solitude in the forests and on the lakes and beaches of New York’s State Parks – that’s simply priceless! See you at the Park!!! Thanks for this information. I love NY. You are most certainly welcome, Cindi! Enjoy the Parks!